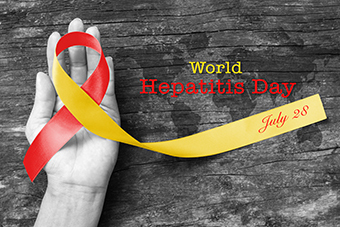 With the availability of effective vaccines and treatments for hepatitis B and a cure for hepatitis C, the elimination of viral hepatitis is achievable and this is the theme of World Hepatitis Day 2017. Pictured: One of the resource tools for tracking our progress: The Third National Hepatitis B Mapping Project Report contains updated estimates for 2014/2015 on the prevalence, diagnosis, monitoring and treatment of hepatitis B at the Primary Health Network level. Find out how these estimates can be used to judge the progress Australia has made towards the National Hepatitis B Strategy 2014-2017 targets.